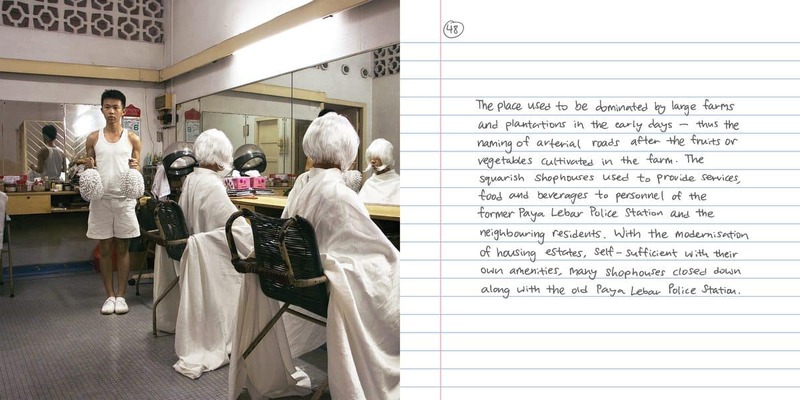 Yesteryears captures 50 abandoned and forgotten buildings in Singapore through a series of in situ self-portraits. The buildings photographed are in different states of ruination, from the crumbling roofs of Istana Woodneuk to the soon-to-be demolished Rocher Centre. These buildings represent the modern ruins of post independence Singapore, an era that lives not only with progress but also the fleeting ruins left in its wake. In a city that is ever modernizing and growing, there is barely any room for the ruin. Buildings that are deemed obsolete will be torn down to make way for something bigger and better. But in the face of the storm called progress, as German philosopher Walter Benjamin expounded in ‘Thesis on the Philosophy of History’, it is important to retain our historical consciousness. Yesteryears does this not through monuments, or officially sanctioned heritage spaces, but through the more minor, often forgotten ruins created by an ever-changing Singapore. Sean Cham (b. 1994, Singapore) is an intermedia visual and performing artist. His interest lies in urban history and heritage; Sean is intrigued by histories and memories in relation to the urban environment, and his works have always aimed to capture the theatre of life. His subject matters include abandoned places in Singapore, dreams of migrant workers, and myths all over the world. Sean has always incorporated the human body into his works, and is known for his self-portraiture technique, where he has placed his body as a subject in many of his photographs. Inspired by his theatre practice, Sean uses his body as a tool and a prop to further enhance and narrate stories in his photographs. Sean’s works have been exhibited in Singapore, London, and South Korea, and featured in websites and publications in Singapore. In 2017, Sean launched his first book Yesteryears, published by Math Paper Press. He also received a grant from The Future of Our Pasts; the work – First Storeys – will be presented as a theatrical installation piece in 2019. Yesteryears, by Sean Cham [Singapore] is a Photobook Award Finalist in the Invisible Photographer Asia Awards 2018. View more 2018 Awards Finalists.